I used to LOVE the dog park. 15 or so years ago it was a great place to go. At the time, I lived in Colorado and I spent hours walking my dogs at Chatfield State Park and Cherry Creek State Park; both have extensive off leash dog parks where dogs can walk, run and swim. I look back and wonder just how many miles an outing we would walk. Times were different. Not only, I suppose, does it date me that I admit this was 15 years or so ago but I might also mention that very few people had or cared about cell phones at that time. I am not sure Facebook and other human distractions even existed. When you went to the dog park, the intention was to BOTH get some exercise while sharing some canine sociability. In the past, I have even written articles about enjoying the benefit of the dog park. I shudder to think of those articles out there now because things have certainly changed. Dog parks have become dangerous places for a couple of different reasons, in my opinion. People come home from work and are often greeted by a wild an unruly dog, or they get up in the morning and are greeted by this dog; so they pop it in the car and head to the dog park. They mistakenly think that the exercise and stimulation that a dog gets at a dog park can be a substitute for actual dog training. And, unfortunately nothing is farther from the truth! 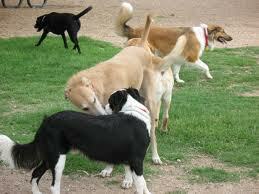 Dog parks encourage rough play and absolutely no impulse control. Dog run around terrorizing other dogs and the dog owner has absolutely no control. Gone are the days of taking a well-trained, well behaved dog to the dog park. As a matter of fact a few year ago I wrote an article about how I utilized the dog park for training only (my dog at the time is not a “dog playful” dog) and people were outraged! How could I expect to train my dog at a place that is meant for fun? My opinion is how could other people NOT use every situation as a situation to train? After all, I want my dog to come to me when called whether in the dog park or not and to listen to simple commands in case there is ever a problem with another dog. 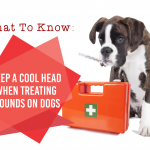 In a lot of respects, it is comes down to simple safety for me and my dog! That training also helped to prep my dog for obedience trials and we were later invited to a national competition. Imagine, if my dog could ignore all the rude things going on at a dog park and instead chose to listen to me; ignoring distractions in and around the obedience ring were absolutely no problem to her at all! Obedience and impulse control are absolute MUSTS for your dog to have at any dog park! Without it your dog is at risk and his regular wild behaviors are much more likely to get worse because instead of showing impulse control he is doing whatever he wants whenever he wants to and, in my opinion, this is no way to raise a child or a dog. Nowadays if you go to a dog park, you notice the chairs, picnic tables and any other space riddled with people vacantly staring at their phones. People grab their dog, drive to the nearest dog park and turn that dog loose, rarely ever glancing up to analyze the behaviors of the dogs around them and certainly not assessing their own dog’s behavior. I probably learned more about dog behavior just sitting back and watching dogs at dog parks, years ago. I suppose children’s parks are riddled with the same kinds of distracted parents; and I, for one, am surprised that there aren’t fewer child abductions because of this fact. However, children very rarely stab, shank or kill one another at the park (thank goodness)! But dogs, quite often, fight and/or kill one another at dog parks. And, I think that we can go back to this segment’s heading “People are too distracted” they don’t even notice the subtleties until things have escalated, gone too far, and the dogs are in the throes of a dog fight. Now let’s go back to #3 and we realize that very, very few of these dogs have the ability to control themselves, much less their temper, and most of the owners have absolutely no obedience control. 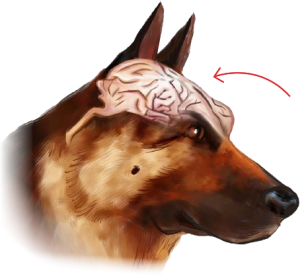 I remember, quite vividly, being at a friend’s house when a dog jumped on and attacked my 80# male Malinois. My first reaction, of course, was to yell at the top of my lungs (not at my dog being attacked) but to distract the other dog and at the situation as a whole. My dog’s reaction was priceless, he sprinted over to me, carrying the other dog on his head and back. Instead of fighting back, his immediate reaction was to listen to me and my commands; that comes naturally to a dog that has immaculate obedience skills. Thankfully the other dog didn’t hurt him. I think he had one scratch and he was a little shaken up. And, even more thankfully, he didn’t fight back. He is BIG and he has a gigantic head with immense bite pressure. If he had fought back, I am afraid he would have killed the other dog, and even though fighting back is sometimes warranted, we all would have felt terrible if a dog had died that day. This is the number one reason I won’t be frequenting a dog park ever again! I am horrified at the sheer number of people who admit they have dog aggressive dogs, dogs who have literally gotten into fights and caused bloodshed to another dog and still continue to take those dogs back to dog parks. I have heard stories from people who have incurred thousands of dollars of veterinary bills for injuries to other dogs, but who still think their dog’s deserve to go to the dog park. They will tout that their dog just “doesn’t like some dogs” but can play or just “plays rough” with other dogs. The problem with aggression is that there are very few dogs that are aggressive 90% of the time or higher. Most dogs have aggression issues sometimes and yet not others (whether it be toward people or other dogs). A small minority of dogs are just blatantly aggressive most of the time. And, in some respects these dogs are easier to deal with in these situations because people can’t ignore it or rationalize and make excuses for it. It doesn’t seem to matter how many years of experience I have had professionally training dogs; when I recommend that these people, who’s dogs have had fights and aggression issues, STOP taking their dog to the dog park they ultimately most often refuse. 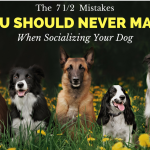 They think that because the majority of the time the dog has not sent another dog to a veterinary hospital to be stitched up (yes, many times these dogs get into smaller scuffles) that their dog is safe and just needs to be “socialized” until he gets over his aggression. The problem with this thinking is that aggressive instances like dog fights increase the likelihood of another aggressive event; even if the dog was attacked and not the attacker the previous time. Simply put, taking a dog aggressive dog to a dog park is like playing Russian roulette with 2 dog’s lives. And two dominant and dog aggressive dogs are likely to fight until one kills the other. In a lot of respects, it doesn’t matter how good my dog obedience is on my own dog if there is a dangerous dog loose and lurking in the dog park. I had a friend’s dog that was killed at a dog park after mere seconds of entering, because of a dog like this, and it is just not worth my dogs’ lives. I will find a different/safer way to socialize them! 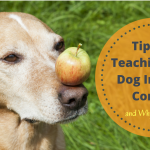 Looking For Other Ways To Improve Your Dog’s Social Skills? 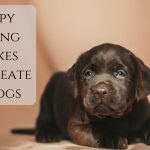 Access my step-by-step collection of tutorial videos specifically guiding you through how to teach your dog how to have better Guest Manners here. We have a german shepherd, she is 6 yrs old. Very soon we will be introducing her to a new puppy. I’m worried she may be aggressive even though we will introduce them on neutral ground before we watch them in our yard. Is there something else I can do with the shepherd before we bring puppy home?. If you are truly concerned I wonder why you are getting a puppy? 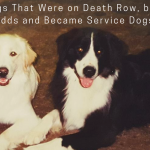 Some dogs literally can’t get along with other dogs and even when owners buy another dog they either fight, one kills another, or they have to be permanently separated. I would delve deeper into why you think this, and if it is the case and then reevaluate. You cannot force another dog or a person to accept someone or something they don’t want without serious risks. Thank you- thank you– THANK YOU!!! I have been doing this for years. 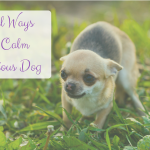 The ‘outside’ of a dog park is the perfect arena to train your dog to calm down. It works! When using this technique it is important that you understand that this is NOT a social event. It is a training event. For optimum results you should not allow your dog to interact at all. Play time should be a separate time. So when you take you daily walk and encounter another dog, and even people your dog knows what to do. Danger may not be in the dog park every day at every moment but— I have seen it first hand. As mentioned here, folks take their aggressive (what they call hyper) dogs to socialize letting them run free, sometimes unwittingly placing other dogs at high risk where some happy, playful, defenseless dog gets seriously hurt. THANK you! Greatest and truest article I have ever read!! I, also, experienced the good and very bad at dog parks with my well mannered, well trained companions and will never bring them again, for all the reasons you talk about. There are so very many other ways to provide your dog with exercise. 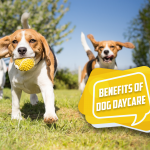 Here in Baton Rouge we have businesses offering “socialized” day care for pets, allowing prescreened, non aggressive dogs to play together under constant supervision. 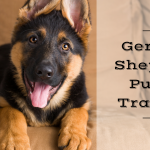 I take my german shepherd once or twice a week and it has been great for him. It costs 15 or 20 bucks for a full day of play but so worth it! By no means am I an expert, but I think you should only take a breed of dog that is suited to your lifestyle… so if you have a dog that needs to run, and you don’t have the open space in the countryside for the dog to run freely and safely on your own property, then you need to be a runner and you need to train your dog to run with you. If you can not or will not take the appropriate amount of exercise with your dog, either opt for a less active breed, or find someone who can help you. For socializing, when I’m walking my puppy, I greet ever person I see walking a dog and ask them if their dog is “dog-friendly”. If so, I ask if they wouldn’t mind stopping to chat for a few minutes so that my puppy can get used to other dogs. If their dog is clearly not well trained enough to respond to the owner’s commands and is racing erratically around my puppy, I politely move on quite quickly. I tend to look for older dogs who couldn’t care less about puppies. I know other people take their dog to training classes for the main purpose of socialization. As I said, I’m definitely not an expert and I’m working this out as I go… it’s a full-time job in itself. Take them to puppy classes , a safe, supervised environment for socialising your pups. Informative too! Took my dog to a dog park once, haven’t been back since. The problem isn’t the dogs so much as the owners of the dogs; they’re oblivious. I have a Belgium Malinois with teeth like a raptors but I will still defend her when I see a dog getting aggressive towards her. This is what happened at the dog park and I alerted the dogs owner to get control of her dog: she didn’t know how! That’s when I took my dog and we went home. If one walks their dog everyday for a least an hour you’ll get to know all kinds of dogs in your neighborhood and that’s far better socialization. I totally agree with all of this and am not a proponent of dog parks. The one thing you did not mention that is equally harmful to our dogs is the dangerous health issues they get exposed to in these environments. People do not pick up waste, the dogs urinate everywhere, unhealthy dogs can transfer illnesses to healthy dogs, etc. etc. My feeling is everyone should avoid dog parks at all costs. I take mine to doggie day care. They are monitored at all times & if a dog gets agressive or bad behavior they are removed. This has truly helped. Another thing about dog parks: I have read reports of poisoned treats and poisoned water at some dog parks..I don’t know if this is true, but a possibility and a danger. I hope the individuals who need to read this article will do so. Ii is so very sad, but like Minette said, times have changed, and dog parks unfortunately are not what they once were. The dog park I used to go to had a person with a pit bull that caused all kinds of problems. Not only was it dog aggressive, and all the other owners avoided it, it ran full tilt at a woman and knocked her off her feet with the force of a linebacker. All the owner did was make excuses for it; ‘he’s hyper, just excited, doesn’t know his own strength, just plays a bit rough’, and so forth. Sad, really, because the hand writing is on the wall, someday the dog will no doubt seriously hurt or kill someone’s dog, or owner, or both. I have never been to a dog park. My mini schnauzer and I walk for an hour every morning and 20 min in the evening. We were attacked by a rottweiler that had gotten out of the house. Luckily, my dog wasn’t injured badly but did need to go to the emergency vet to have a puncture wound to his leg examined. I found out after the fact that the owner stopped going to dog parks because her dog was getting too aggressive towards small dogs. So I definitely agree with you about not going to dog parks. I refuse to go to another dog park after my dog (a pit bull mix) & myself were attacked by a smaller terrier type dog. He was totally relentless towards my dog who is totally non dog aggressive. My dogs eye was ripped open, & my hand was bitten by the other dog as well. My dog is completely passive & doesn’t even know how to defend herself. After that attack, I tried to take her to a different dog park about a week later, but I was completely traumatized. Every time another dog approached her, all I could do was burst into tears, & I grabbed my dog and left! I haven’t been back to another dog park since! I have a 5 year old Husky/shepherd mix that loves people but is aggressive toward other dogs. She (Willow) was a stray that the ASPCA says ran free for about 9 months. She loves people, not dogs and is very hard headed. I have had her for 5 months and she listens about 90% of the time. We are working on her manners and she is improving slowly but improving. I love her and want her to have a full life. How do I get her to accept other dogs? Or is that wishful thinking as other Husky owners have told me? Why does she have to? Why would that give her a full life? I’m introverted and avoid parties at all cost… does that mean I don’t have a full life? Sometimes we have to understand what they want and what they don’t want and stop trying to force them to be something they are not and don’t want to be! 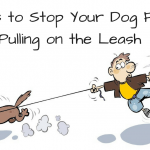 I personally do not take my dog off his leash when we go for a walk. Even if I am sitting down, I do not let go of him. My neighbors also have other dogs and I am just trying to be safe. Thankfully, even though my dog is big, he is not aggressive. Awesome post! Thanks for sharing your thoughts. Thanks you for the great article! It’s so true! Dog parks are dangerous and I also refuse to take my puppy there. I meet up with a bunch of ladies everyday and we let our dogs play together. They all get along and play so nice! That way my pup gets socialized while in a great environment! I stopped going to dog parks after a dog was severely attacked. The owner brought the aggressive dog with a shock collar to “control” it. Of course when she shocked it, the dog attacked. Someone else just took her dogs home when someone arrived with a dog wearing a shock collar. Just took my dog to the new dog park. Wasn’t impressed for a lot of the reasons identified in your article. But here’s my frustration and what should I do. 1. Doggie DayCare. They just walk around each other all day. Love the staff and facility but just walk??? 2. 2nd Doggie Day Care. In a kennel most of day on brought out to “play” for 30 min. 3. New dog park….mentioned above. Any suggestions how to proceed to give him socialization? He’s a very timid rescue. I hear your comments but I have an aggressive dog who is fearful of other dogs due to him being attacked when he was a puppy and I have been training him to correct this for well over a year and he is improving slowly but surely. I sometimes go to a park or the woods to walk him. The biggest problem as I see it is that it is law in most places to keep dogs on leash but many owners ignore that. I try and keep my distance from other dogs and other dog owners have their dogs off leash and allow them to do whatever they want. I cant count how many people I have yelled at and asked the owners to control their dog as they run up to my fearful dog and on occasions have come around the back of me. I get annoyed that dog owners recall abilities are not consistent so why have them off leash, the owners are often walking in a different direction and have not noticed their dog is not with them, often owners are chatting on their mobile phones and some even think it is a joke having a fearful or aggressive dog. Our dogs through no fault of their own are being punished when they would like to socialize with other dogs I am sure, but instead they are kept on leash with muzzles or holters and are put in stressful situations when other dogs approach in a high state and our dogs are shaking, panting because of this and owners think its a joke and I have even had them laugh when I have told them. It makes me extremely sad and angry that my dog does not have the opportunity like other dogs and his life will obviously never change.